Very few can resist this delicious color combination! 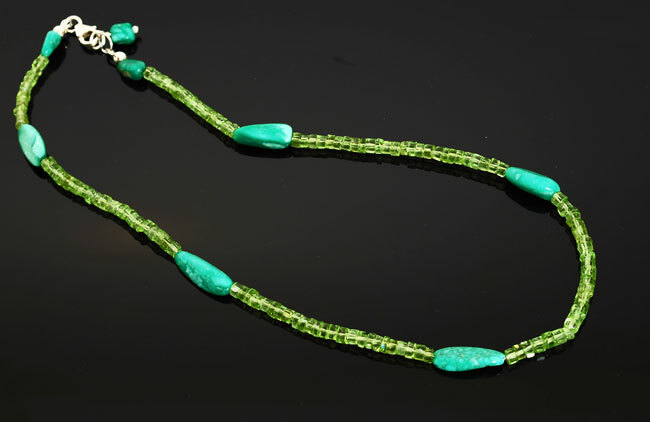 Slender polished chunks of turquoise blue magnesite highlight a spring green strand of faceted peridot heishi beads. 17 to 17.5″ long. Wear two to perk up any sweater or blouse!